The program uses state sales and income tax revenue to provide Nebraskans with credits meant to offset part of what they pay in property taxes. 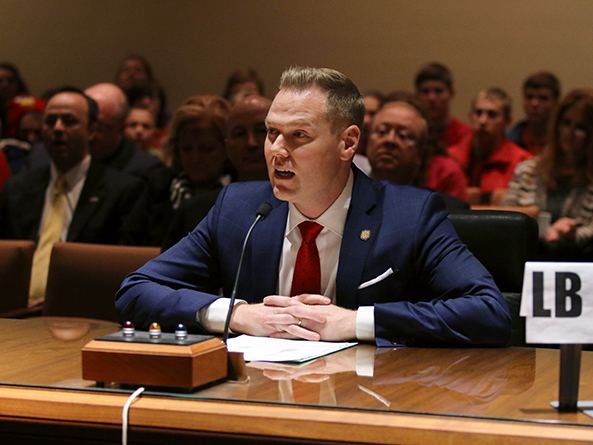 LB303, introduced by Omaha Sen. Brett Lindstrom on behalf of Gov. Pete Ricketts, would direct the Legislature to place $224 million in the fund in tax year 2018, the same as in 2017. For tax year 2019 and beyond, the bill would set the amount in the fund at no less than $275 million. “This is a straightforward approach to tax relief without imposing a tax shift from other sources of revenue,” Lindstrom said. Ricketts testified in support of the bill, although he acknowledged that it is not by itself a solution to the state’s high property taxes. 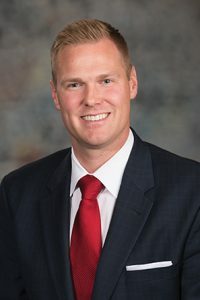 He said setting the minimum amount of property tax relief in statute would make it harder for future Legislatures to reduce the fund and would give Nebraskans certainty about how much they could expect to receive in credits each year. Shane Greckel, a farmer from Bloomfield, also testified in support. He said the property tax credit fund provides relief directly to farmers and ranchers, who then spend that money in their communities. While the credit might amount to only $10 or $20 per acre, Greckel said, a farmer’s profits might be a mere $5 per acre. “We have to work on extraordinarily thin margins, so any amount helps,” he said. Testifying in opposition to the bill was Sarah Curry, policy director for the Platte Institute. Instead of adding money to the property tax credit fund, she said, the Legislature should seek structural tax reform that limits local tax levies and changes the way property is valued for tax purposes. “It’s clear that the property tax credit relief fund policy is not working to fundamentally lower property taxes and does not create lasting reform, only temporary relief,” Curry said. Renee Fry, executive director of OpenSky Policy Institute, gave neutral testimony on the bill. She said the property tax credit fund has done little since its inception to reduce the state’s reliance on property taxes to fund public schools. Fry noted that the Appropriations Committee’s preliminary budget would reduce state aid to schools by $38.5 million from the governor’s initial budget proposal. “They are fully funding the increase in the property tax credit program that is in this bill but at the same time reducing our funding commitment to [state aid], which is directly counter to the structural changes we think we should be making,” she said.